Pregnancy comes with a fantastic array of changes. Your body is undertaking the most incredible job it will ever do; it’s creating another life. While it is indeed the miracle of life, it often feels less like a miracle and more like your body is at war with you. Your stomach (and other areas) grow beyond their limits. Your hair begins to lose its luster, your nails turn brittle, and your skin begins to resemble an alligator. With all those hormones raging out of control there are days that you may not even recognize yourself, and your partner will be wondering where the real you went. Any other time you would probably reach for a favorite oil or blend to help fix the problem or ease the mood. Now, you must consider the baby first. Many go-to solutions for quick fixes are out the window. There is no coffee for a pick-me-up, Tylenol for a headache, or NyQuil to chase away the sniffle. But what about essential oils for pregnancy? There are a lot of myths out there about essential oils and pregnancy. So I want to debunk the lies and bring out the truth so you will confidently know what oils to avoid when pregnant, what oils are safe, and why. Most importantly, you will learn how to use them without harming your baby. You have every right to be concerned. After all, essential oils are chemicals. They are natural, yes, but chemicals nonetheless. When you break them down into their building blocks of terpenes, alcohols, hydrocarbons, and more, they sound a bit scarier than just lavender or lemon. When you learn that essential oils cross the placental barrier, it can be even more alarming. It is a common misconception that aromatherapy is dangerous to pregnant women and will harm the fetus. But this is not to say all oils are safe. Two oils in particular, Pennyroyal (Mentha pulegium) and Parsley (Petroselinum sativum), have been linked with abortions. The good news is that there are many essential oils that are safe during pregnancy. The bad news is that not all are true ‘prenatal essential oils’ throughout every trimester, and the methods appropriate for them vary. What essential oils are safe during pregnancy? In the delicate first trimester, it is wise to stay away from all essential oils to be on the safe side. From the beginning of the second trimester through to postnatal care, you can use oils to a lesser degree than you usually would during pre-baby times. While some sources do not agree on all oils or methods, it is generally recognized that the floral and citrus oils are ok, as well as some other gentle oils. Bergamot essential oil has a wonderfully uplifting scent that can brighten the baby blues. It is an antidepressant oil with sedative qualities, so is helpful in situations when anxiety is heightened. Bergamot usually has bergapten in it, which is a photosensitizing psoralen (furocoumarin), so when used on the skin can cause burns in the sun. When choosing your oil, try to seek out one that is rectified. This means it is bergapten- or furocoumarin-free (FCF) and will not be photosensitive. Black pepper is a warming oil that can be used in low dilution in blends to ease aching backs and muscles, especially those caused by sciatic nerve pain. You will find advice against using this oil when pregnant. However, if you follow the dilution recommendations for pregnant women, there is no problem using this oil to get relief from soreness. Cardamom is a wonderful oil to reach for to combat nausea. German chamomile is also known as blue chamomile. The lovely blue shade of this oil comes from the chamazulene, which can help with migraines. This is good news for women that suffer frequent headaches when pregnant since most normal treatments are off limits. Besides headache relief, German Chamomile can help with allergies, digestive issues, and nerve pain. If lavender is the king of oils, Roman Chamomile is the queen. This gentle oil is worth every penny, especially for the mama-to-be. Roman chamomile in a carrier makes a pregnancy safe massage oil that you will reach for time and again to ease the lower backache that inevitably occurs. This oil is good for so much; it will be a favorite from the fourth month through delivery. It is also one of the first ones that can be used on baby! Copaiba essential oil is becoming more popular and is great for everything from leg cramps and varicose veins to intestinal discomfort and stomach issues. Coriander seed is one of the oils you don’t hear much about. This oil is a stomachic and can help during times of digestive upset and constipation, two maladies that all too often plague the expectant mother. A grounding oil, frankincense during pregnancy can help you relax and unwind. If you are still meditating and doing yoga while pregnant, this is an excellent oil for diffusion to calm the mind and emotions. Geranium oil is great for combating acne and is also good in blends for leg cramps. Diffusing ginger essential oil for nausea during pregnancy won’t just calm the morning sickness, it will make your house smell amazing, too! Grapefruit oil is helpful for water retention and muscle fatigue. There is much misinformation about lavender oil during pregnancy. Much of the arguments against using lavender when pregnant stems from reports of it being an emmenagogue, meaning it can stimulate menses. This is simply not true, and it may actually reduce uterine contractions. It has also been shown to reduce pain during labor. You can also use lavender oil while breastfeeding without ill effects as long as proper exposure and dilution guidelines are followed. Lemon essential oil is an excellent astringent that can help combat hormonal, acne-prone skin. Expeller-pressed lemon oil is phototoxic, so choosing steam distilled is best. Mandarin essential oil is one of many on this list that can help combat insomnia. This is one of the most popular oils safe for pregnancy. A gentle oil, marjoram is good at combating the aches and pains associated with pregnancy. Neroli may be more expensive, but it well worth the cost. It is an excellent choice in blends to combat stretch marks or to balance emotions. Patchouli essential oil is helpful for skin care. However, the scent may be too intense for some women. Petitgrain essential oil can be quite helpful for uplifting the spirits. It is also toning for the skin and hair and can combat oiliness. Rose essential oil is helpful for most of the ailments that plague pregnant women. It may also help relieve lower back pain. A mild oil with many benefits, rosewood can help with skin issues, nervous tension, headaches, and helps keep the immune system strong. Sandalwood essential oil is a safe antidepressant and sedative oil. While it is helpful for many conditions in pregnancy, it is endangered and should be chosen as a last resort. Spearmint essential oil is the gentler cousin of peppermint and is one of the essential oils safe to use during pregnancy. Use this oil instead of peppermint in blends. Orange essential oil is great to brighten up dull skin, helps with water retention, can ease constipation, and helps you sleep. What more can a pregnant woman ask for? Tangerine is excellent at combating stress-induced insomnia, which is perfect for expectant mothers anxious about their new role. Dilutions of tea tree oil can help combat acne in hormonal skin conditions. All of the oils listed are also safe essential oils for breastfeeding mothers. There are many essential oils to avoid during pregnancy. As an expectant mother, it is crucial to know what essential oils to avoid during pregnancy. Many oils act as a uterine stimulant and can cause complications, including spontaneous abortion if used in high enough amounts. Anise, or aniseed as it is sometimes called, is a carcinogen and reproductive hormone modulator. This oil should not be confused with Star Anise (Illicium verum), even though they are both oils to avoid in pregnancy. The homeopathic remedy of arnica is ok to use during pregnancy as well as labor and delivery and is often utilized by midwives for both natural and Cesarean births. The oil, however, is highly toxic and should not be used in aromatherapy, much less in pregnancy. Both the French (sweet) and exotic basil carry the same botanical name, which causes confusion. However, they are both essential oils not to use during pregnancy. Basil oil is used extensively in the food industry, but some varieties should not be used at home due to a high methyl chavicol content, which is both toxic and irritating. Sweet Birch is almost wholly methyl salicylate, which is a reproductive toxin. Even in non-pregnant people, it can be poisonous in large quantities. This is the same compound found in both Wintergreen (Gaultheria procumbens) and many over-the-counter pain relievers. It generally should be avoided in pregnancy. Bitter almond is another oil that should not be used at all. It contains prussic acid, also known as the highly poisonous cyanide. Boldo leaf essential oil is extremely toxic, having high levels of ascaridole. It is used in pharmaceuticals in minute amounts. It is not recommended to use this at home for anyone. Also known as Spanish Broom, this is an absolute obtained from solvent extraction. Because some chemicals can remain in the final product, it is wise to stay away from all absolutes during pregnancy. Broom flowers also contain sparteine, which is toxic and may cause nausea, vomiting, low blood pressure, a weak heart, and in high amounts, death. Buchu is hepatotoxic and may be an abortifacient. This contains pulegone, which is always contraindicated in pregnancy. Its effects may be similar to pennyroyal. Calamus is considered a moderate toxin and is hepatotoxic and carcinogenic. This is due to the methyl eugenol and beta-asarone content in the oil. Both constituents are mutagenic genotoxic carcinogens that react directly with DNA, making them extremely bad for a growing baby as well as everyone else. The oil should not be used therapeutically at all. Both brown and yellow camphor contain safrole, which is a toxic carcinogen and should not be utilized at home by anyone. White camphor may be used therapeutically, but because there may be trace amounts of safrole, stay away from it and choose gentler oils when pregnant. Carrot seed oil can stimulate menstrual flow, and interfere with gestation. There is no standard for using it safely during pregnancy, so it is best to stay away from it altogether. Cassia, also called false or Chinese cinnamon, which may contain methyl eugenol. This oil is high in cinnamaldehyde, a dermal irritant which in testing showed inconclusive results for reproductive toxicity. Because of the possible embryotoxicity, it should be avoided in pregnancy and breastfeeding. Cinnamon essential oil, particularly, cinnamon bark, is high in cinnamaldehyde as well, and so should be avoided. Clary sage has been used by doulas and midwives to stimulate uterine contractions in the delivery room. While there are no concrete studies that this oil will cause premature birth, I think it would be wise to stay away from it until your baby is ready to meet the world! Clove bud oil is the only one that should be used by anyone at home, not oil from the leaf or the stem. However, clove bud oil may contain methyl eugenol, inhibit blood clotting and may be toxic to embryos. There are many forms of eucalyptus essential oil, and the jury is out on whether they’re safe for pregnancy and breastfeeding. Oils high in 1,8 cineole are toxic to children and adults alike in large doses. They can also cause central nervous system issues and breathing problems in small children. Both bitter and sweet fennel contain anethole, and they are widely regarded as unsafe for pregnancy and breastfeeding alike. Horseradish essential oil is a dermal and mucous membrane irritant and is an extremely hazardous oil that is not meant for use by anyone in a home setting. The toxicity is due to high levels of allyl isothiocyanate in the oil. Jaborandi is an abortifacient and toxic oil not meant for aromatherapy use. Jasmine absolute is created by steam distillation of the concrete, which is made through solvent extraction, and so should not be utilized by pregnant women. The essential oil is created through steam distillation of the absolute, and likewise should not be used. According to many sources, Juniper berry oil can stimulate the uterine wall, causing contractions. However, Tisserand states that there seems to be no scientific basis for this. That being said, it might be best to refrain from using this when pregnant to be on the safe side. Melilotus is a solvent-extracted concrete, so should not be used in pregnancy. Mugwort is an oral toxin due to the high thujone content and is a known abortifacient. It shouldn’t be used in aromatherapy by anyone. Mustard essential oil is highly irritating and is one of the most toxic of all oils. It is not used in aromatherapy and should be avoided. Myrrh oil has compounds that are antiangiogenic, which means they can inhibit the formation of new blood vessels. There is a link between that and fetal toxicity, making the oil contraindicated in pregnancy and breastfeeding. Oregano oil was found to cause fetal cell death in rats, so is contraindicated in pregnancy. Parsley essential oil is a toxin and an abortifacient as previously mentioned. Pennyroyal is an oral toxin and abortifacient and can cause death in large quantities. It is not meant for home use in any situation. Peppermint is often useful for nausea, so you may be disappointed to learn the oil should not be used during pregnancy. This oil contains a small amount of pulegone. It can also cause cardiac fibrillation, and menthol may cause jaundice in babies lacking a specific enzyme. Peppermint oil should also never be used on or near a baby or young child’s face because it can cause breathing problems. Nonetheless, a triple-blind clinical trial in 2012 found that a low 0.5% dilution of peppermint oil in sesame oil eased the skin itchiness caused by Pruritis Gravidarum (PG) in participants. However, the researchers recommend further study. For now, choose the tea instead. Rue is another oil that is highly toxic and an abortifacient and is one that should never be used in aromatherapy. Sage oil has the constituent thujone, which is an oral toxin and contraindicated in pregnancy. The oil is also a neurotoxin in high amounts and has caused death when taken internally. Sassafras essential oil is known to be a highly toxic carcinogen and abortifacient. Most likely due to the high level of sabinyl acetate, this oil is embryo-fetotoxic and abortifacient. It is banned in many countries and should never be used. Spanish sage also has sabinyl acetate and may have some thujone content. It should not be used during pregnancy or breastfeeding because of this. Tansy has a high thujone content, and should not be used by anyone, pregnant or otherwise because of the neurotoxicity risk. It is also considered an abortifacient. Note that Blue Tansy, (Tanacetum annuum L.), also known as Moroccan Tansy or Moroccan Blue Chamomile, is ok.
Tarragon oil contains methyl eugenol, as well as estragole (methyl chavicol). It is a potential carcinogen and is therefore one of the oils to avoid while pregnant. Thuja essential oil is high in thujone, neurotoxic, and contraindicated in pregnancy and breastfeeding. It should not be used in aroma-therapeutic applications. This warning also goes for T. plicata, known as Western Red Cedar, Western Arborvitae, or Pacific Thuja. This oil is created through solvent extraction. Being high in coumarin, tonka is also an oral and dermal toxin. Wintergreen oil is almost entirely comprised of methyl salicylate. In high doses, this can be teratogenic, meaning it interferes with fetal development and should be avoided. Wormwood is a toxic abortifacient that can cause hallucinations, convulsions, and brain damage in high doses. There are more essential oils not to use during pregnancy, but these are the most common and widely cited. Be sure to research any oil you plan on using during this delicate time. Knowing pregnancy safe essential oils is not enough. You have to use them correctly, too. Aroma-therapeutic use of essential oils during pregnancy is a recognized complementary therapy often utilized by trained midwives for common issues during pregnancy. The key word that should be noted here is trained. 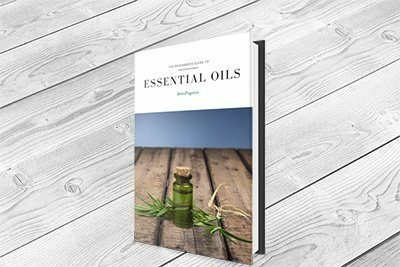 There are documented risks associated with using the oils by midwives, health professionals, and people at home that do not have the knowledge needed to use them correctly. For a pregnant mom-to-be, there are some important things to remember when using oils. Stay away from essential oils during your first trimester. Your body is undergoing some serious changes, so even oils that are considered safe to use ‘neat’ at times, like lavender, can cause reactions. Use oils only for acute conditions when needed, like when morning sickness, anxiety, or aches and pains strike. Prolonged use, even with diffusing essential oils while pregnant, can backfire and cause headaches, dizziness, and nausea. To avoid this, use a personal inhaler when needed. If you diffuse blends, do so for only 15 minutes at a time with at least an hour or two in between. Finally, do not take essential oils internally during pregnancy for any reason. Blends of essential oils for pregnant women can help ease symptoms safely. Pregnancy comes with a whole host of symptoms that women have to deal with. Since it is crucial to watch what is used, so no harm comes to the baby, seeking out alternative solutions and using essential oils while pregnant has become somewhat common. The best oils to combat an upset stomach are those containing citrus and spearmint, cardamom, coriander, or frankincense. Since anything can trigger nausea in pregnant women, it may take some experimentation to find what works the best. These can be diffused or used in a personal inhaler or mix them together and place one drop on a tissue or cotton ball to breathe in when needed. Mix the above together in a bowl and pour under the running water. As you soak, gently stroke your legs upward or have your partner lightly rub your back. If you do not have chamomile, you can substitute sweet marjoram. Yes, but safety must remain a priority for both mom and baby. It is important to pay attention to which essential oils are safe during pregnancy and to use them correctly. Overdoing it can cause a host of problems from exacerbating nausea to causing headaches, dizziness, and even sensitivity to the oils themselves. Be sure to bookmark this post, so you have a quick reference for both unsafe essential oils during pregnancy as well as which ones you can use and at what amounts. Most importantly, don’t try to force yourself. Everyone is different, and what works for one woman may not work for another. Listen to your body, and enjoy this special time! Fantastic EVIDENCE-BASED article– love it and hope to see more of these floating around the blogosphere!! I LOVE this article and your fact and evidence based approach. Thank you!!! Thank you for this great article! Finally, an evidence-based article that is balanced and truthful! I think one thing to point out is the purity of various brands of essential oils. Not all oils are made alike, and not all are 100% pure. That’s why I only use (brand name removed) brand oils because there is no doubt in my mind about what I am putting into my body or in my family. The only oil I recommend a pregnant woman not use is Clary Sage due to the role it plays on hormones and as a uterine tonic, but really there’s no data for that either. On one hand, it can be an antispasmodic making me think it wouldn’t bring on labor, but it has also been effective at making contractions stronger and more effective. So I usually say to not use it just as a precaution but that there’s no literature to really back it up. I highly recommend it for labor and delivery as well as post-partum for starting milk production, helping balance the hormones, and help with postpartum depression. I used all the oils, whenever it was reasonable, during my last pregnancy. Best pregnancy ever! I studied midwifery and had a decent bag of tricks for dealing with the possibly discomforts of pregnancy but this time was totally different. It was awesome. I feel badly for those who are scared away from such simple measures. But it comes back to my previous experience and trust of the oils I was using. I actually started bleeding at 9 weeks. Not spotting, but gushing. I have a belief that the body knows what it is doing and you don’t always want to stop a miscarriage. I also know that eos generally don’t force an action. I knew that lavender is calming and frankincense helps everything so I applied both to my abdomen and went to bed thinking that at least I would be emotionally calmed. Within moments the cramping stopped and the bleeding slowed. I continued applying those oils quite frequently and stayed down for a few days. I had no further bleeding. Perhaps it would have stopped on it’s own. I applied frankincense to my abdomen throughout the pregnancy as a gift to my baby. He is now a vibrant 3 year old. But this is just anecdotal. Thank you for laying out the facts and empowering women and families to make rational descisons without fear. I am excited to see the growing awareness of essential oils. I do find it remarkable that the blogs cautioning against certain oils or usage methods are generally the same blogs that say brand doesn’t matter. Quality is everything and the only way to know what you are getting is to know the company. Nicely written. Care to do an article about Melaleuca and dogs? The topic is nearly as hot. Thank you! Made me feel so much better. I just spilled Rose Oil on my arm (first trimester) and was sitting her worrying about miscarriage based on the information I was finding on other sites!!! Thanks for the article and comments. We’re going on our 7th baby. All home births. Doctors scare the life out of me! Seems they make a medical emergency out of everything! I have looked up every oil that I have in my cabinet and it seems that most of them aren’t to be used in pregnancy. I can understand some like perhaps myrrh and clary sage, which I intend to use for after the baby is born to help with after birth pains, along with Helichrysum. But all the other precautions simply didn’t make sense to me. I love an Epsom salt bath with frankincense, ylang-lang, and rose. I’m past my first trimester and so far, so good. I would be interested in knowing if anyone has good suggestions for adrenal fatigue in pregnancy. I’m taking the typical adrenal supplements (B6, B5, cal/mag, etc) but wondered if there was an eo that would help. This is my first pregnancy with adrenal fatigue. Thank you for writing this! I have to say that I have a love/hate relationship with Google in relation to essential oils as well!! I continue to ask God for wisdom in relation to it and He certainly provides it. I am a nursing Mum and have never put any restrictions on myself in relation to the use of oils. I use them on a needs basis… The only thing that has affected my nursing is using Basil (for adrenal fatigue), talk about a great way to boost your milk supply!! Imagine if everyone used Clary Sage to establish their milk supply and basil (as needed)… there might be less “I’d didn’t have enough milk to feed my baby” and more confidence in new mum’s breast feeding!!! Awesome! Thank you so much! I’ll give that a whirl. I have looked in to multiple supplements for adrenal fatigue but when it comes to the herbal ingredients it seems everything causes contractions. Anyhow, thanks a bunch. Will try this. I could really use your opinion on the peppermint issue please. I’m 15 weeks pregnant and have 1 healthy child but have had 4 subsequent miscarriages. Today I made a minty smoothie using a natural brand of pure organic peppermint oil for baking/cooking (not extract). I used about a teaspoon and drank about half of the smoothie. Within hours I noticed brown spotting, when my pregnancy has been otherwise normal. I have a home fetal heartbeat doppler and the heartbeat is still there but this is the first time I’ve had spotting and it is alarming. Thoughts ??! I used clary sage and fennel topically during early pregnancy will my baby be ok?? Will that result in any problems? Clary Sage is used to help women who suffer from PMS problems. I would AVOID using it while pregnant UNLESS you at 37 weeks + because it has been know to help induce labor. Thank you for sharing this! I just miscarried at 5 weeks and have been terrified that I caused it by using essential oils. I was just praying that The Lord would give me insight and peace regarding this situation and immediately found your article. ThankYou so much for this article! I have been scaring myself, as we are actively trying to get pregnant, and I may very well be right now. Hubby is under the weather, and I am exhausted, so as a preventative I just ingested 2 drops of Thieves ( a mixture of clove, rosemary, eucalyptus, lemon, cinnamon) basically everything google websites tell you not to ingest early on. I don’t know why I did that; been using oils for years, but forgot to double check the oil in relation to pregnancy. I am trying not to be nervous, and your article and the comments have helped! ThankU!! Is rosemary oil(applied topically to skin) considered safe during pregnancy? Hi Lisa, I would avoid rosemary oil when pregnant. It is a uterine stimulant and can potentially cause miscarriage. Better to err on the safe side for you and your little one. I am 14 weeks pregnant and my youngest recently contracted pinworms. In an effort to disinfect the house, I made a homemade spray of vinegar, water, rubbing alcohol and 15 drops of clove oil. I cleaned lots of areas and now read here clove is bad. Our son died 2 years ago in the middle of our 2nd trimester so needless to say I worry often. Now I am afraid I just ruined everything using the clove oil in my disinfectant. Any thoughts in that? rosemary oil also can cause high blood pressure and should be avoided by anyone suffering from high blood pressure or heart issues. having said that rosemary is a wonderful oil and is being used in many studies involving clients with Alzheimer doing a form of practice called raindrop therapy. it is great for brain stimulation and a wonderful oil to use for the college student at midterm and finals . My daughter is 14 weeks pregnant. I wanted her to use frankincense oil on her thyroid. She has goiter which is affecting her thyroid hormones. I heard it helps but want to be sure it is safe for baby. Please enlighten me with any information you have. Thank you. can I apply carrot oil on my skin while pregnant? So if I’m pregnant and wanted to diffuse citrus fresh or lemon and lavender – are you saying only 15 minutes every 1 or 2? Thank you!! !